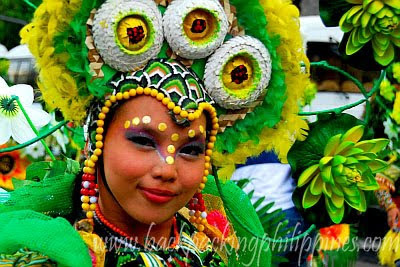 On the third Sunday of January (January 16, 2011), here are festivities that coincide with the Sinulog and Ati-atihan with the all too familiar street dancing in colorful costumes, some patterned after the hugely popular Mardi Gras of Rio de Janeiro, Brazil. Recommend also the Salibanda of Paete, Laguna (Tutubi's hometown) where water splashing is done to festivity fun hunters and devotees. It's just a 2 hour drive away from Trinoma Mall in Quezon City via the scenic Antipolo, Baras, Tanay, Teresa Rizal route. Salibanda parade starts at 12nn from Paete Church, goes around town then proceeds to Wawa Park on the lake shore of Laguna de Bay in the afternoon for a fluvial parade of the Sto. Niño. Will try to experience Caracol this year! Sinulog is one of the best mardigras in the Philippines.